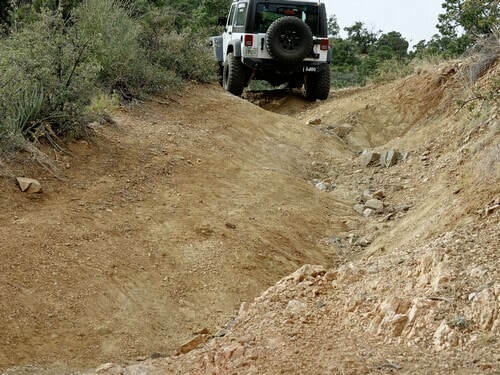 An easier Jeep trail parallel to Devil's Dip rock crawling trail that can also be used to access Devil's Dip. 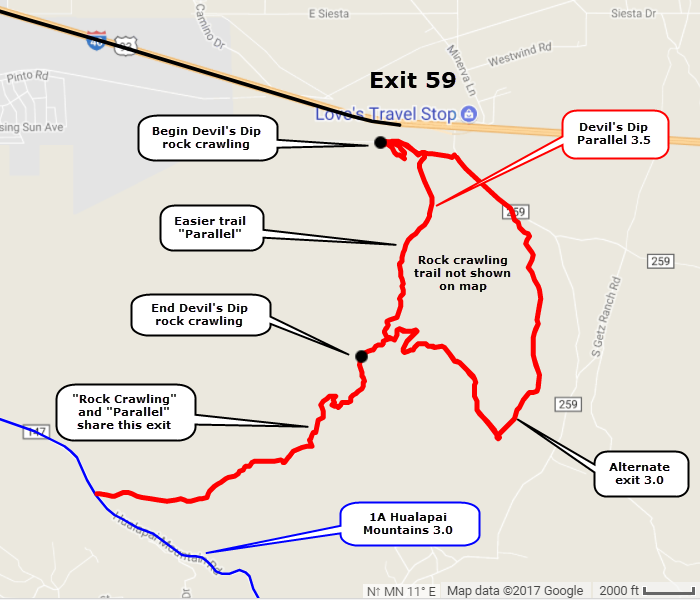 Both Devil's Dip rock crawling trail and this one start at Exit 59 from I-40. 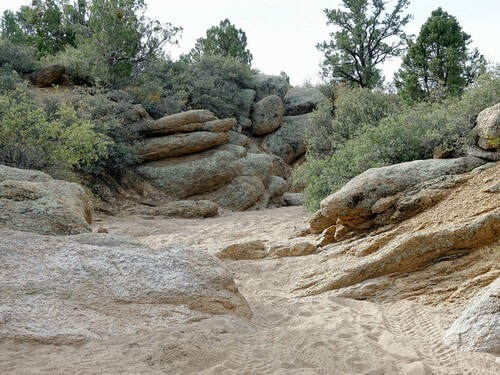 Devil's Dip goes up the bottom of an unnamed wash, while this one follows easy roads higher above the same wash. Devil's Dip is also called "Serendipity". 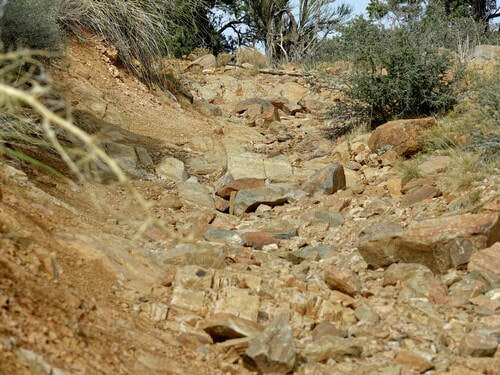 When Devil's Dip comes out of the rock crawling wash these two trails combine and become an exit. Start at Exit 59 and follow this track along a dirt road until you come to a wash. 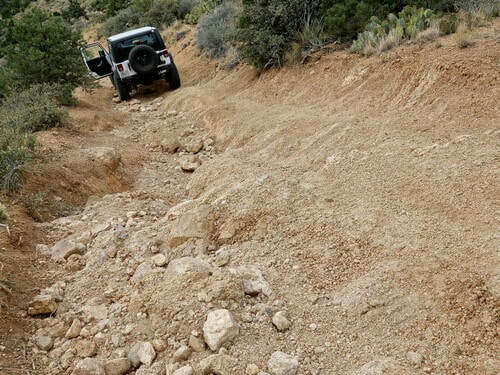 This wash is the beginning of Devil's Dip rock crawling trail. Go up the wash to view the first obstacle on Devil's Dip. Keep going up the wash if you intend to do Devil's Dip, otherwise return to the dirt road and begin this parallel, easier, trail. This easier trail runs parallel to the difficult Devil's Dip, and actually crosses that trail two times. The two trails combine when Devil's Dip comes out of the wash, and there then are two choices for exits. 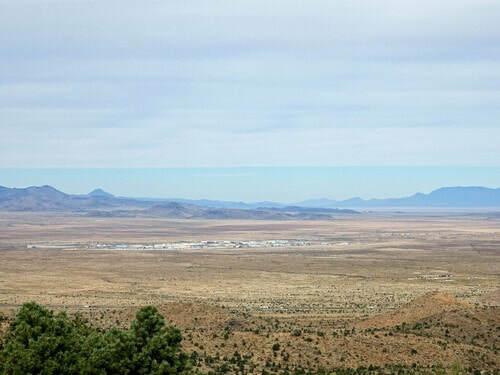 The main exit is a 3.5 rated trail that continues up the same wash to the Hualapai Mountain Road. An alternate exit is a 3.0 rated trail that circles east and returns to Exit 59. 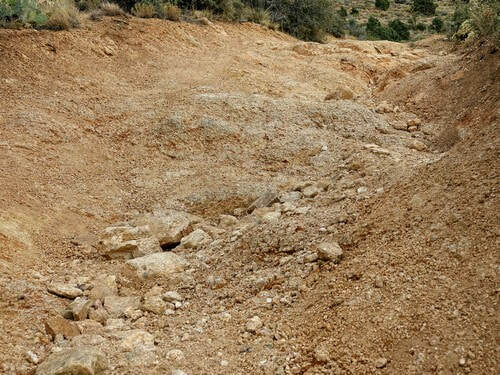 ​The alternate exit has a short piece of wash with minor rock crawling and a couple hills with lots of rocks. This is good for someone that does not want the extra challenge of a 3.5 rating. The main exit starts off with a narrow, tippy spot. We looked down the hill and did not see any Jeep parts so we decided it must be OK to go. 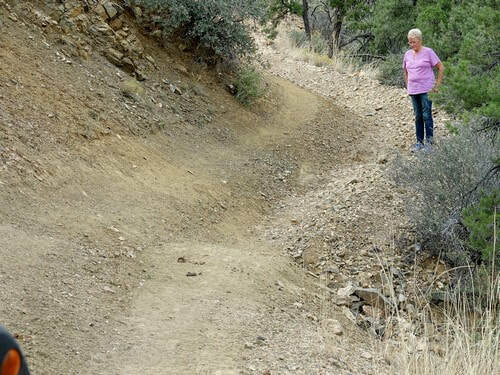 ​The trail is steep and has quite a bit of erosion. The trail continues to climb until it reaches a saddle 1,200' higher than where you started back at the Interstate. Going down from the saddle to Hualapai Mountain Road is the part we rated at 3.5. This section is very eroded and is what we like to call "rotten granite". It is very slippery.